Sure, not every meeting is boring, but it can be a challenge to make your corporate meeting or conference an exciting experience – and trying too hard can cause everything to go terribly wrong. Asking an audience to sit through speech after speech can be mind-numbing. There are lots of ways to mix it up so the audience stays fresh and engaged. One great way to make presenters seem more natural and relaxed – and make their content more memorable – is to turn speeches into conversations. Use a host to interview your presenters or have them be part of a panel. And include storytelling when possible. People respond to stories they can relate to. The classic narrative structure – an engaging story with a beginning, middle and end – helps people understand the world more easily. Another trend is to use shorter, faster-paced presentation styles like TED talks. This helps each presenter sharpen their focus and tighten their message. Most corporate event planners agree that mobile event apps increase engagement… and yet nearly two thirds of event professionals are still NOT using event apps! Don’t make this mistake. Today’s meeting apps are dynamic, flexible and a green alternative to all those printed programs and collateral. Better still, they help you connect with your audience before, during and after your event. It’s important to keep in mind your event goals and objectives, your meeting format and your attendees to decide which app is right for you and your event. Just about all apps will integrate social media and offer key features such as wayfinding, speaker profiles, schedules, polling, photo sharing, ticketing and more. Most even allow for customizing so it becomes a value-added benefit for both you and your attendees. Video content is an important element in your business meeting agenda. It provides a rhythmic structure to break up live presentations and injects emotion. It’s one of your most effective communication vehicles when done properly. Think more about the message delivery rather than trying to include a lot of content in a single video. Consider breaking up longer videos into a series. Keep the length appropriate. With attention spans shorter than ever today, even good videos lose their luster after several minutes. The efficacy of a brief, entertaining and engaging video always trumps epic snoozers. Interview real people. People respond to best practices shared from peers. “Day in the Life” video profiles and interviews with your constituency that tell a great story can truly inspire people to act. Keep it light. Funny, entertaining videos are often the most talked about. If you’ve got executives willing to laugh at themselves, shoot it! Spoof videos that communicate a real message, while getting some laughs, will have a lasting effect. And remember that, once produced, video content can be leveraged in several ways following your meeting – as sales and marketing tools, for training and for social media. Share your videos with attendees and encourage them to share as well. Customization is gaining ground in the meeting and event industry, and fast. There’s now a stark generational gap between Baby Boomers and Millennials, who outnumber Boomers by more than 20 million. Use your data. Customize your registration to gather fields that can be used to personalize experiences for attendees such as birthdays and company anniversaries that can be recognized during your event. People love choices. Allow them to personalize their experience by choosing breakout sessions relevant to them, or even consider offering different types of seating in sessions or activities to choose from. Crowd sourcing is another customization touchpoint that is gaining traction. Don’t just assume what type of content your audience wants or needs to hear, ask them. Rather than relying on post-conference surveys on what was liked and disliked, survey your audience prior to the meeting to decide which keynote speaker they’d rather hear, what type of entertainment to offer, which off-site event they’d rather attend, etc. 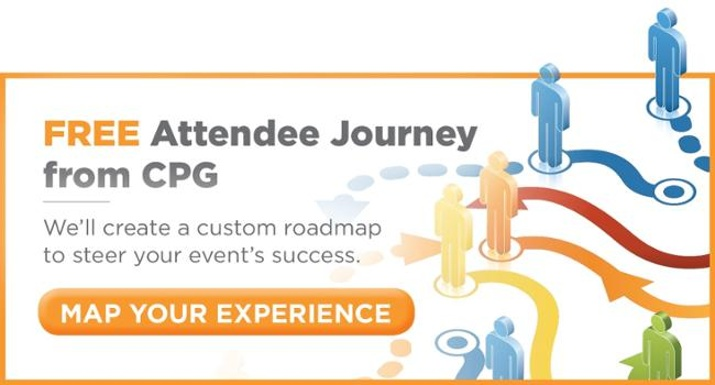 A key advantage to personalizing attendees’ experience is that it generates loyalty. Attendees feel special when an event is tailored around their likes and dislikes, striking an emotional chord. Higher loyalty leads to higher attendance the following year, greater buy-in with corporate initiatives and a greater motivation to take action. One of the leading contributors to the “boring factor” is your overall event design. In this age of social networking, today’s culture is more participatory and interactive, and they expect something different. Your event design should be experiential. Attendees are there to gain knowledge, but also expect an engaging experience. Break tradition with your schedule. Often, the same general schedule and format is used year after year because that’s what you’ve always done. Consider alternative formats to freshen up the meeting, including concurrent breakout tracks to choose from, shorter general sessions with active energizers and more time for social networking. If you’re struggling with how to fit a lot in a little time frame, step back and analyze your data and attendee feedback. Less really is more. Fewer sessions done well are far better than a packed schedule with mediocre content. Think outside the classroom – seating, that is. Traditional classroom and theater seating arrangements have their place, but consider making your session more social. Consider setting up “pods” or smaller rounds for three or four to encourage discussion. Non-traditional furniture is also a growing trend that really gets noticed by your attendees, such as sofas, lounge chairs, etc. Use technology as design. We live in a high-tech society. Incorporating elements throughout your venue and ballrooms such as VR, LEDs, live streaming and social media monitors, etc. take your event to the next level. If you’ve got the budget, using any combination of these technologies makes your event fresh, relevant and substantially more engaging. Face-to-face connection is a lost medium in today’s digital world. No one knows your audience better than you do, so it’s important to strategically plan your event goals and objectives around your attendees’ expectations. Keep a pulse on post-event feedback and pre-event buzz to create an experience that is designed to maximize engagement, participation and loyalty.